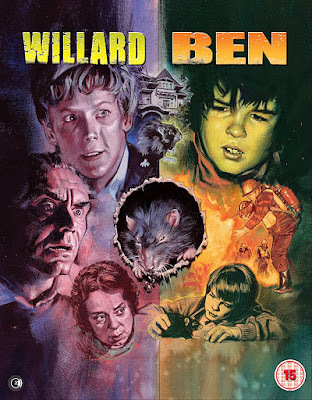 Two 1970's classic horrors make their U.K. home entertainment debut this year and they are none other then WILLARD and its sequel BEN. Second Sight Films will be releasing these two rats on the rampage movies in a limited edition Blu-ray boxset and as individual DVD and Blu-ray releases as well as on-demand and download. Both films will be released in newly restored versions complete with brand new special features. The limited edition Blu-ray boxset exclusively features stunning new artwork by the one and only Graham Humphreys. The boxset will also include a special collectors poster of the artwork. All releases will be coming out 30th October 2017 just in time for the perfect double rat bill on Halloween. Not much is going right for meek misfit Willard Stiles. He’s constantly screamed at by his overbearing mother, ruthlessly bullied by the boss who stole his father’s business and mercilessly laughed at by his co-workers. Willard eventually turns to a colony of rats for friendship and with training they will soon do anything for their new friend. It’s time for Willard to get even. 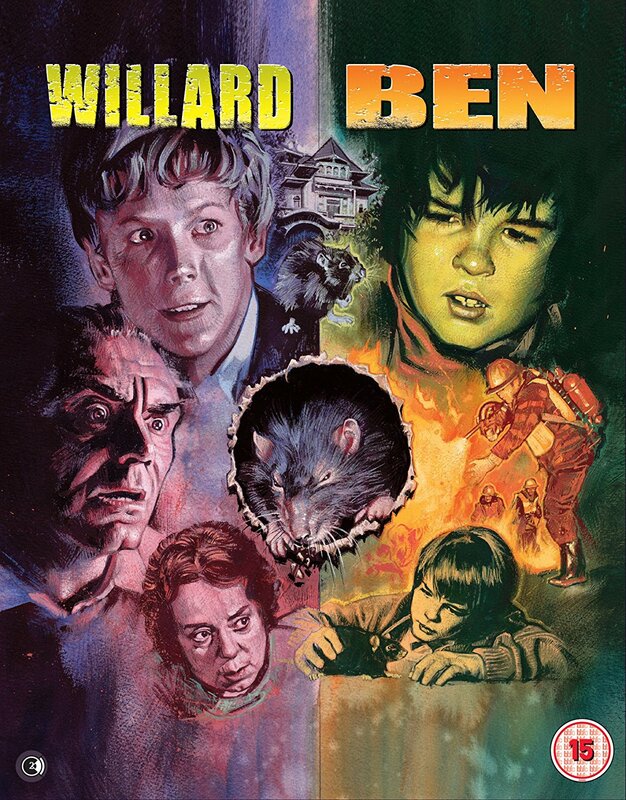 Danny Garrison, a lonely young boy with a heart condition finds a friend in Ben, a rat once trained by misfit Willard Stiles. Danny’s new best friend protects him from bullying and keeps his spirits up through hard times. But all is not well in Ben’s colony and the other rodents terrify the town with a series of violent attacks. The police are determined to wipe them out. Can Ben survive?